John 7 v 38 "Out of the believer's heart shall flow rivers of living water." 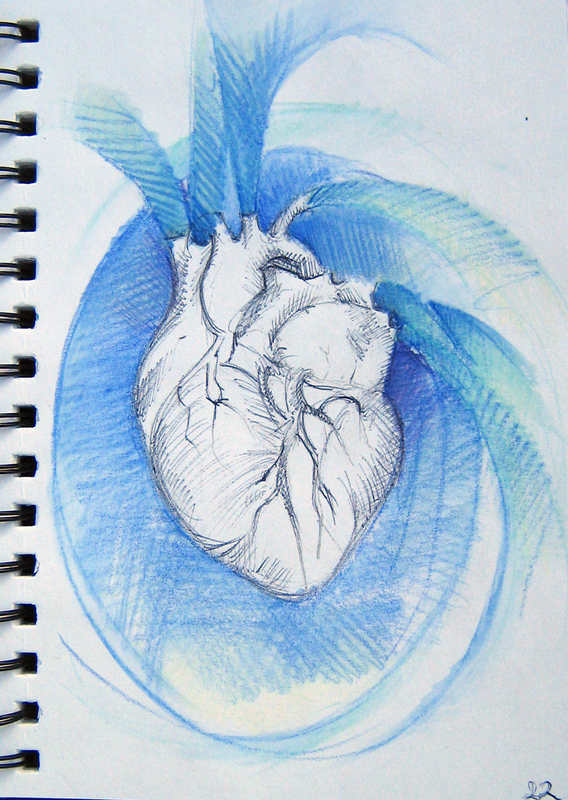 So if you didn’t get a chance to do it last year, grab a journal/notebook, a pen and give it a go….. This year, I am working with the creative people at Holy WMM to put together a Stations of the Cross exhibition (an idea I experienced through Stillpoint when we were living in Oxford) I found the process of contributing to the exhibition and experiencing other people’s creative responses more than inspiring…..so I thought I would try something similar here and hopefully encourage a similar experience! Short description: How does it feel to know your death is inevitable? The more I thought about this station, the more I felt a sense of helplessness. My mind didn’t seem to allow me to settle on just that helpless image of loneliness and betrayal as the disciples fall asleep for a third time. I wanted to convey the concept that there is hope, but as people who know the outcome of the Easter story, it is a hope that only we know. Those involved in the story don’t have access to the hope that we as the reader do. So I arrived at the idea of painting a symbol of “new life” or resurrection on the canvas first, to lie underneath the final image. Over the top I planned to then paint an image of Jesus. An image that allows us to see him as if we have stayed awake and kept watch. I chose a butterfly as a resurrection image, the image to paint underneath the final image. The butterfly image was good to paint it – familiar, happy. 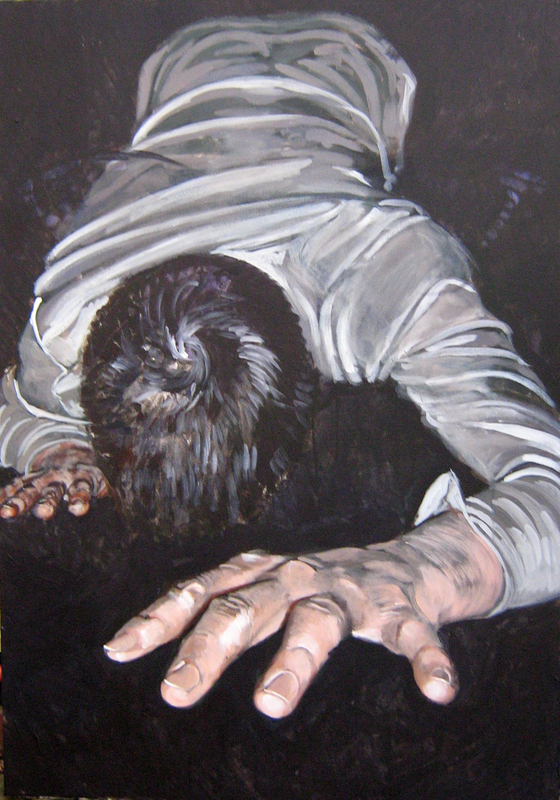 Then I began to paint the image of a man who is deeply distressed, praying for his life. It was an easy image to paint in some ways, but also unsatisfying. I knew that the image would not be one that I would be pleased with. Yes, I’m happy with the way the image has come out – very dramatic – but it’s not pretty. It has taken me a while to decide to leave it here, sort of raw. It hasn’t got decorative edges, or grass or trees, the usual things you’d see in a garden. Those things seemed to dissolve as I considered what was really important in the station I was painting. I seemed to go through a process of deconstruction. I took out the disciples and put the viewer in their position. But unlike the story in the bible, I put us in a position bowing down in front of Jesus, where we can reach out and touch his hand. I felt like the image came into my head and I couldn’t replace it with anything else. I had to paint it. It didn’t look exactly as I imagined but I was pleased that the butterfly’s wings, unintentionally, rested on Jesus shoulders, where the cross would lay. When lent begins, I’ll be posting the resources we use to prepare the Stations of the Cross exhibition, and also (if I am organised enough!) my pieces as they take shape…..See you next week!